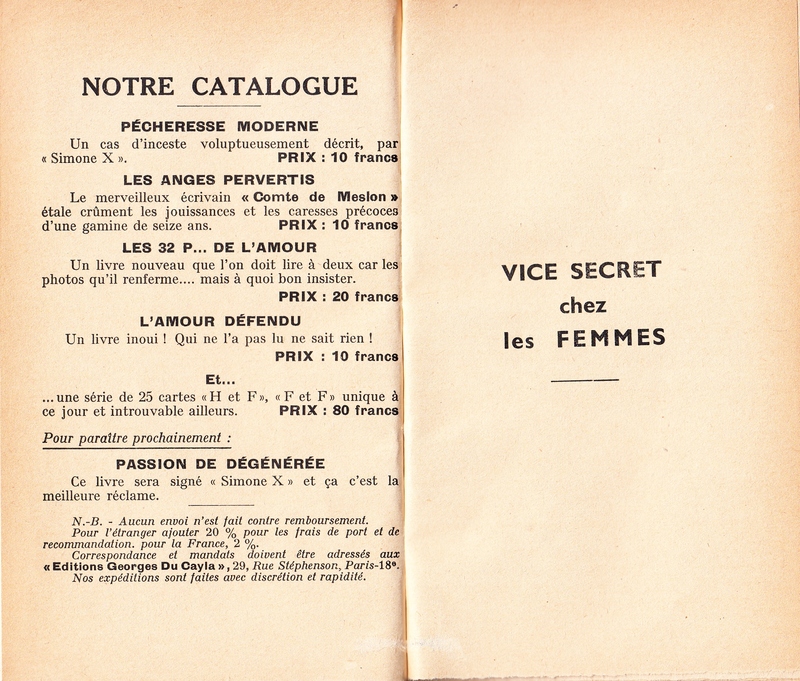 January 4, 2016 January 4, 2016 / Steve M.
Listed because the publisher sits within the group, of Les Editions du Couvre-Feu, et al, and this one actually fits within the flagellation theme, although I must admit to being completely mystified by some of the photographs, for instance the woman apparently purchasing lingerie?. 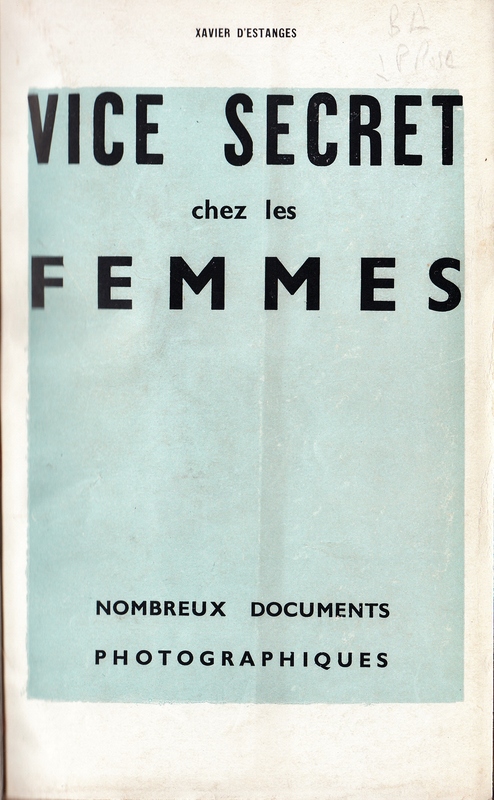 This copy is tightly rebound into a very nice binding and therefore there is an unavoidable curve on the leading edge of the images, there is no way that I can present these images flat, so my apologies for that, but I hope you enjoy them anyway. Unless something truly spectacular turns up this is likely to be my last photographic item, but I will continue listing my illustrated and non-illustrated books. 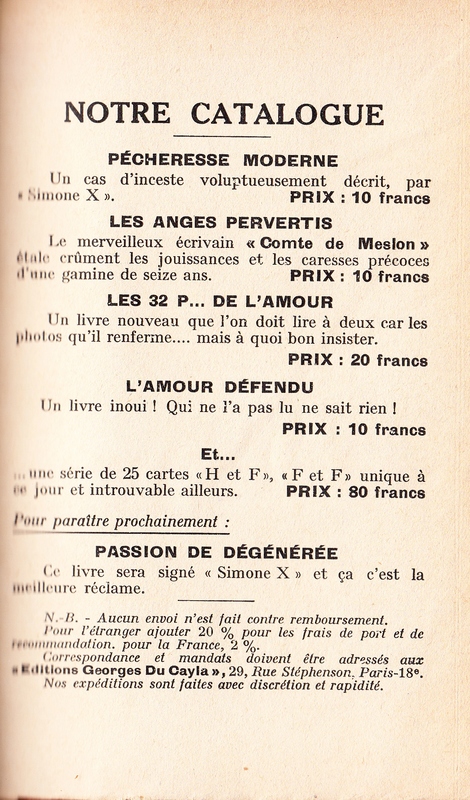 Yet again I am indebted to Christophe Bier and ” Les Editions du Couvre-Feu”, editions Astarte, 2013, where the following bibliographic entry can be found at page 147. 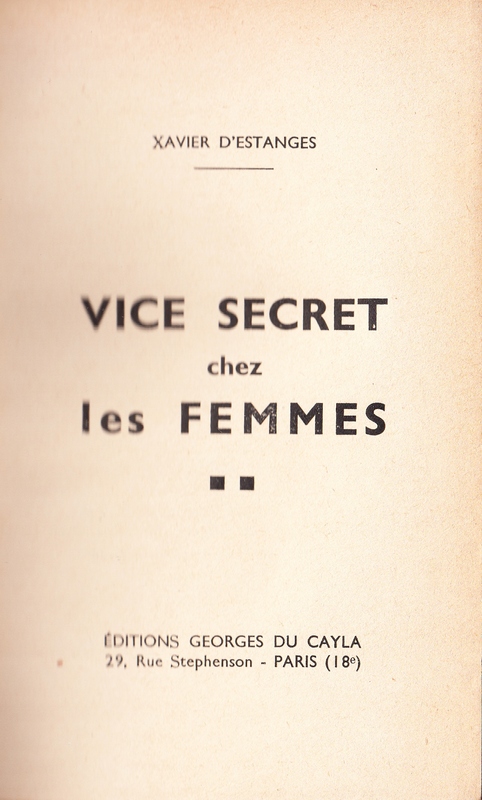 Xavier D’Estanges; Vice Secret chez les Femmes, Editions Georges du Cayla- Paris s.d. 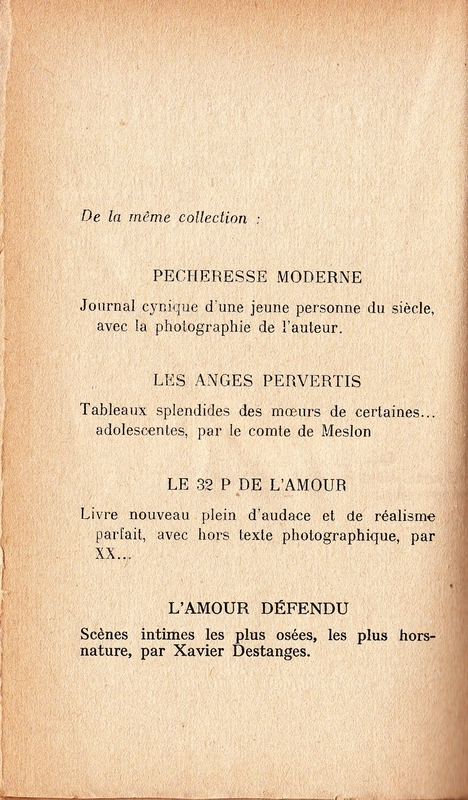 (1935) rebound original cover preserved, 151 pages, 4 photgraphs hors-texte from Studio Beiderer, + 4 pages of catalogue items. 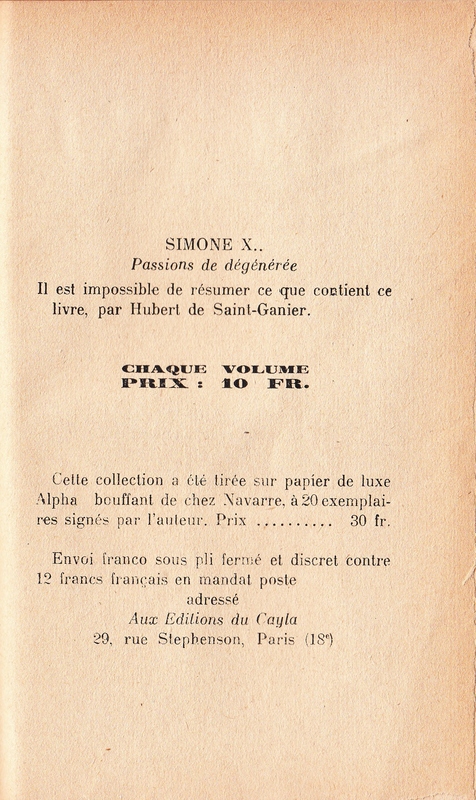 Printed by Imprimerie de L’ Horloge,Passage du Caire Paris.